Ahmed Badr ’20 was one of 17 young people appointed by the UN to serve as Young Leaders for the Sustainable Development Goals. 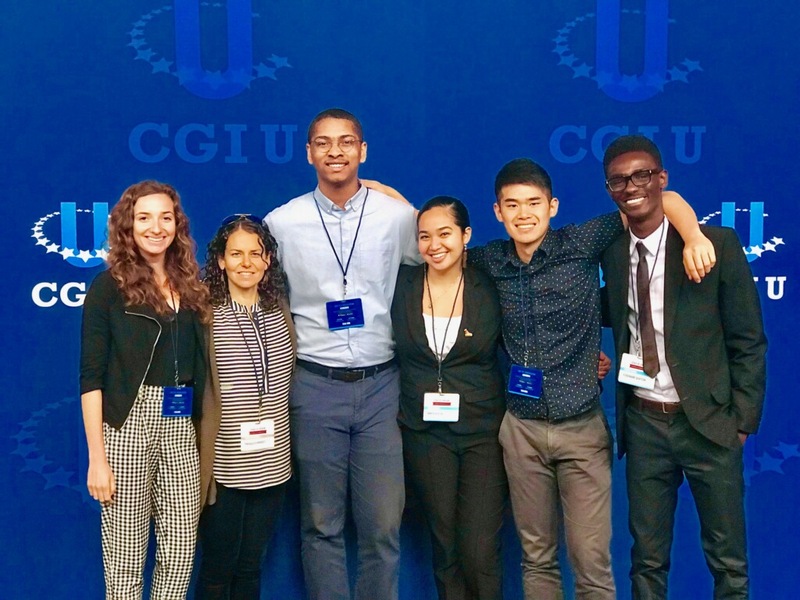 They were selected from over 8,000 applicants from 184 countries, based on their “proven leadership and ability to inspire others.” Badr, holding the sign, at left, is pictured at the UN General Assembly in September. The United Nations has named Ahmed Badr ’20 to the 17 Young Leaders for the Sustainable Development Goals (SDGs), class of 2018. 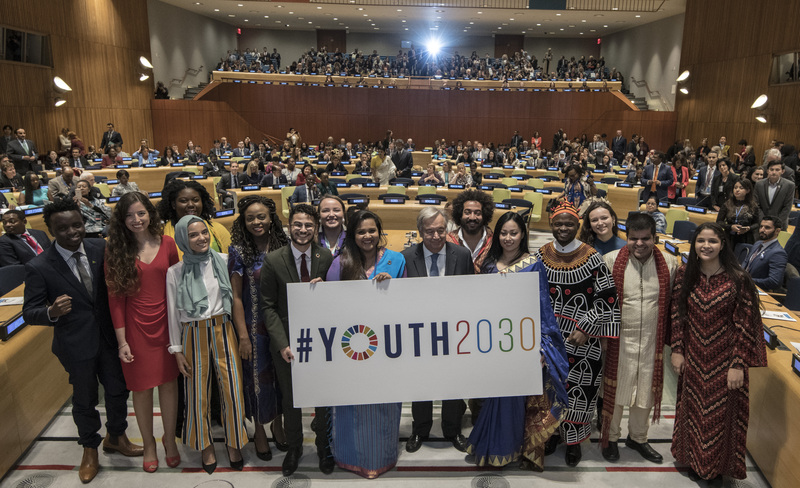 The UN Young Leaders, a flagship initiative of the Office of the Secretary-General’s Envoy on Youth, recognizes young people for their exceptional leadership and contributions to a more sustainable world. Badr is a junior at Wesleyan, studying anthropology and pursuing independent projects as an Allbritton Fellow and Patricelli Center Fellow. He was born in Iraq and in 2008 came to the United States as a refugee, after his family’s home in Baghdad was bombed by militia troops. A 100-person choir performed “Identities,” which included a poem written by Wesleyan Upward Bound student Chelsea Anthony. 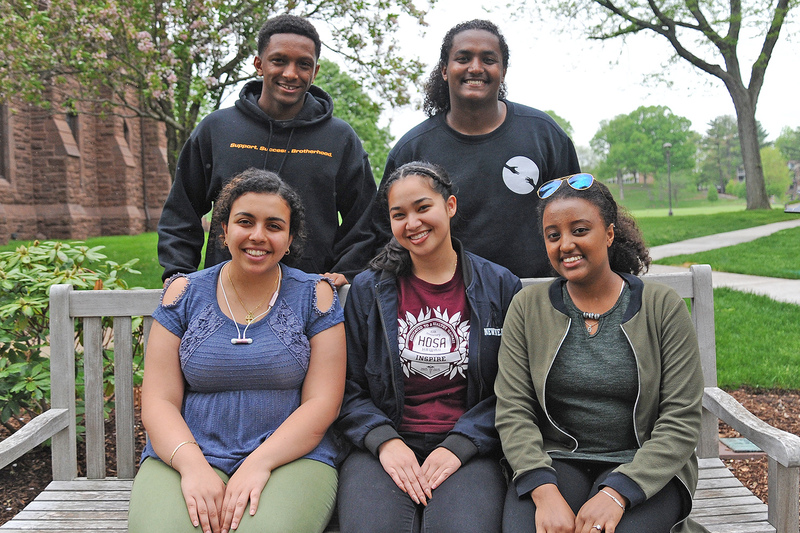 Chelsea is pictured front and center with Ahmed Badr ’20, who led a storytelling workshop that resulted in Chelsea’s poem being published. How did a young refugee from Iraq inspire a high school student from New Britain, Conn., to write a poem that went on to be performed by a 100-person choir made up of high schoolers from around the East Coast? It all began at Wesleyan. Ahmed Badr ’20 was born in Iraq and came to the United States as a refugee in 2008, after his family’s home in Baghdad was bombed by militia troops. As he struggled to adjust to life in the U.S., he started a personal blog to write about his experiences, and “found it incredibly empowering” to share his story. “I soon began to realize the power of storytelling to inspire and bring people together,” he wrote on his website, Narratio. Determined to empower other youth, he created Narratio to publish written work by young people around the globe. It has been recognized by the United Nations, We are Family Foundation, and featured on NPR and Instagram. Today, Badr is a sophomore at Wesleyan, studying anthropology and pursuing independent projects as an Allbritton Fellow and Patricelli Center Fellow, while continuing to run Narratio, which includes leading creative storytelling workshops for youth around the country. 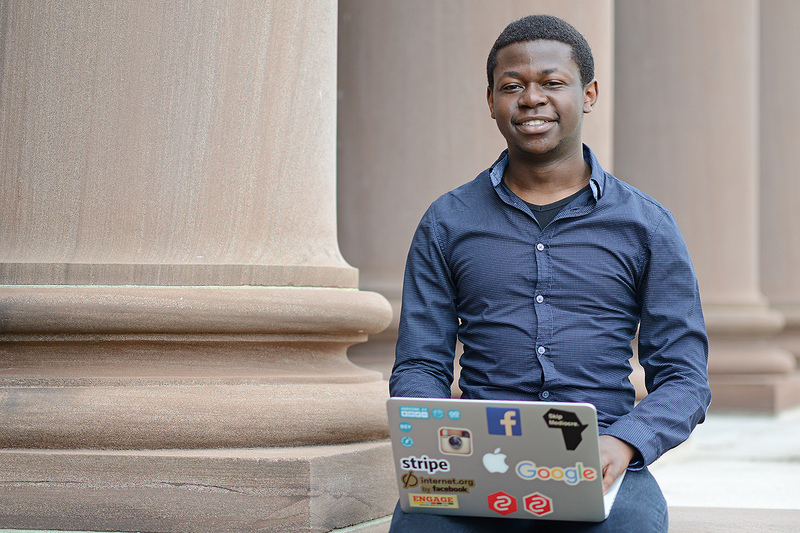 As a Newman Civic Fellow, Alvin Chitena ’19 will receive a variety of learning and networking opportunities. Alvin Chitena ’19 has been named a 2018 Newman Civic Fellow by Campus Compact, a Boston-based nonprofit organization working to advance the public purposes of higher education. The Newman Civic Fellowship, named for Campus Compact co-founder Frank Newman, is a one-year experience emphasizing personal, professional, and civic growth. Through the fellowship, Campus Compact provides a variety of learning and networking opportunities, including a national conference of Newman Civic Fellows in partnership with the Edward M. Kennedy Institute for the United States Senate. The fellowship also provides fellows with access to apply for exclusive scholarship and postgraduate opportunities. Thafir Elzofri ’19, at left, assists Random Hacks of Kindness Jr. participants in Beckham Hall. 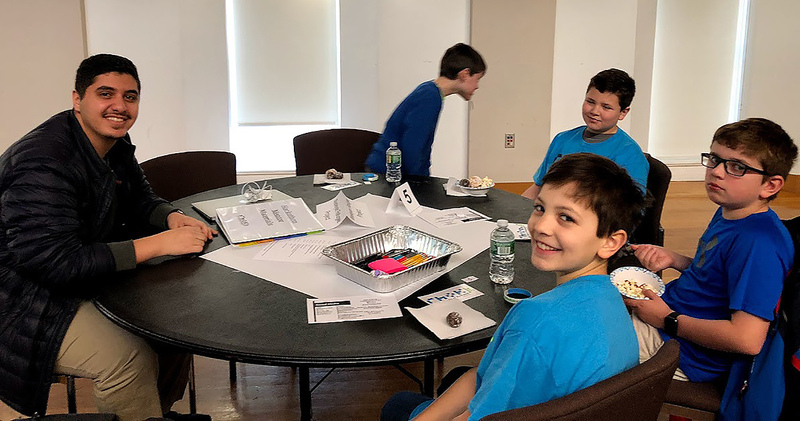 On Feb. 24, Wesleyan hosted a “hackathon” for social good in collaboration with Random Hacks of Kindness Jr. 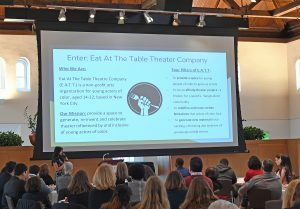 The free event introduced more than 50 local children in grades 4 through 8 to technology and showed them how it could be used to create solutions that benefit nonprofit organizations. About half the children came from Middletown, while others came from as far away as Greenwich, Griswold and West Hartford to participate. Seven Wesleyan students and two staff members served as volunteer mentors, working with the children to devise computer applications that addressed a range of problems facing local organizations. 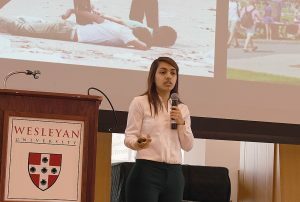 Five nonprofit social good organizations founded by Wesleyan students through the Patricelli Center for Social Entrepreneurship were the beneficiaries of these apps. Using MIT App Inventor, students learned the basics of app design, as well as the ideation and brainstorming process required to build a successful prototype mobile application. 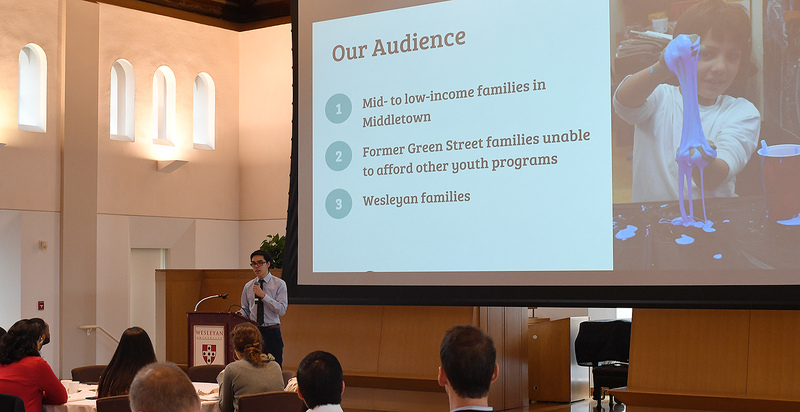 Ahmed Badr ’20 gave a keynote address, in which he discussed Narratio, the platform he created for refugees to tell their stories. 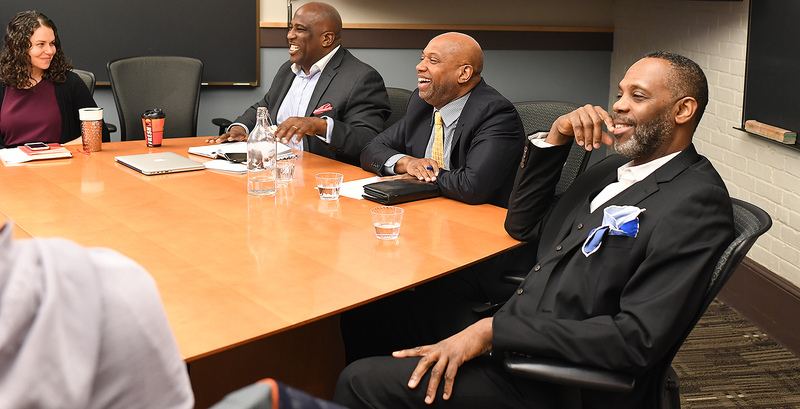 On Feb. 22, the Patricelli Center for Social Entrepreneurship welcomed three alumni back to campus to speak on “Wesleyan Black Male Achievement: Narratives of Power, Purpose and Resilience.” The panel included Shawn Dove ’84, John Johnson ’82 and Marquis Lobban ’85 and was held in conjunction with Black History Month. Pictured at left is Makaela Kingsley, director of the Patricelli Center. Wesleyan, in collaboration with Random Hacks of Kindness Jr., is hosting a “hackathon” for social good for students in grades 4 through 8, from 8:30 a.m. to 3:30 p.m. on Saturday, Feb. 24. This free event, to be held in Beckham Hall, will show local youth how technology can be used to create solutions that benefit nonprofit organizations. The hackathon is open to the public and requires no prior coding experience.